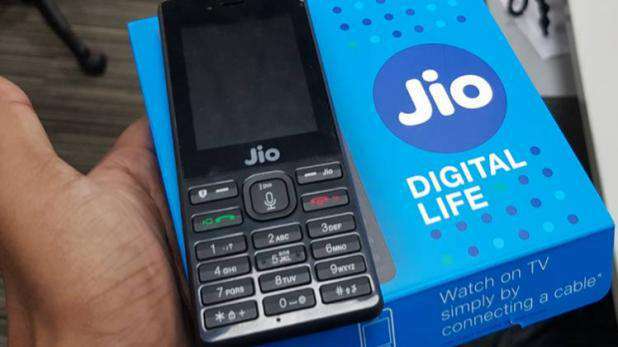 Reliance Jio launched the Rs 1,500 feature smartphone JioPhone. This is pre-booked and will soon reach the mobile customers. We will give you all the information that is special and what appears in this phone. At first glance, its build quality seems tiring, as this price does not have this build quality feature phone in the current market. This is a black color phone and its body quality is hard plastic and easy to use. Reliance's own brand Lyf has designed a geophone. This plastic body has a 2000mAh removable battery. The thickness of the phone is taking a bit more. The front has a 2.4-inch display, which has a VGA front camera upstairs. The phone keypad has a voice-assisted button between left-click option and calling and disconnecting button. Foam calls are switching on and off of the disconnecting button. The matte finish of the phone body looks very smoother. This phone has 2MP back camera and VGA front camera. The price of this phone is as good as that of back-camera performance. The picture taken does not get torn very fast. Front VGA cameras are very common, but quality of video calling is very good. The version of KaiOS in the phone is 2.0, which has been optimized for the phone. This is very different from Android and IOS. This phone has also been given a separate Gio App Store, in which an application made for Geo has been given. The store currently has only Inhouse apps like My Jio, Geo Video Calling, Geo Comics. This has not been given the light version of the FOSBook light and the light version of WhatsApp. The company claims that the phone's 2000mAh battery gives a 15-day standby time. Geo says that, if the TV channel is broadcasted in the Geo TV app on this phone, that channel will only run without stopping. That is, during the LIVE telecast, there will not be much difference in actual broadcast and phone transmission. All the apps offered in this phone are free. The phone also has Wi-Fi and Bluetooth but Wi-Fi hotspot has not been given. The company says that Bluetooth is designed in such a way that it will use the battery. You can also broadcast content on the Gio TV app on your TV. For this, only media cable will be needed, which will sell Geo separately. This phone will also support the Geo Pay App.